Check out one of our latest t-shirt designs for PULSE GAMING 2015 Gamer shirts. Get your Sports team some custom shirts by 2COOLDESIGN All Over Printed Clothing Service. 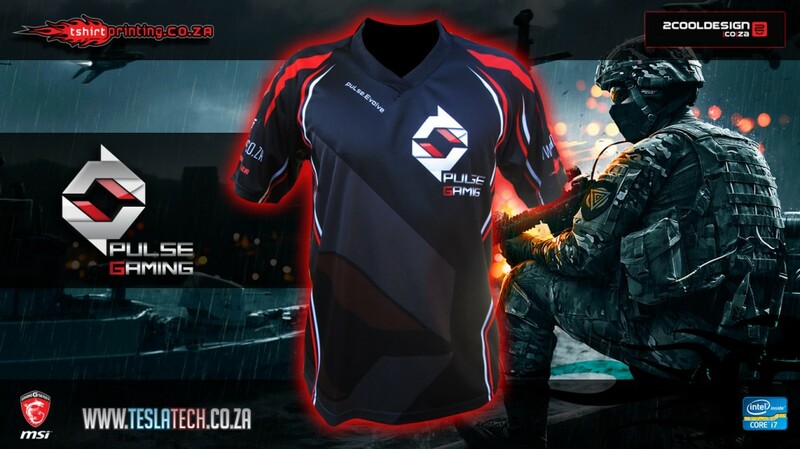 High Quality, Locally manufactured ( South Africa) All over printed Sports wear for the gaming industry.